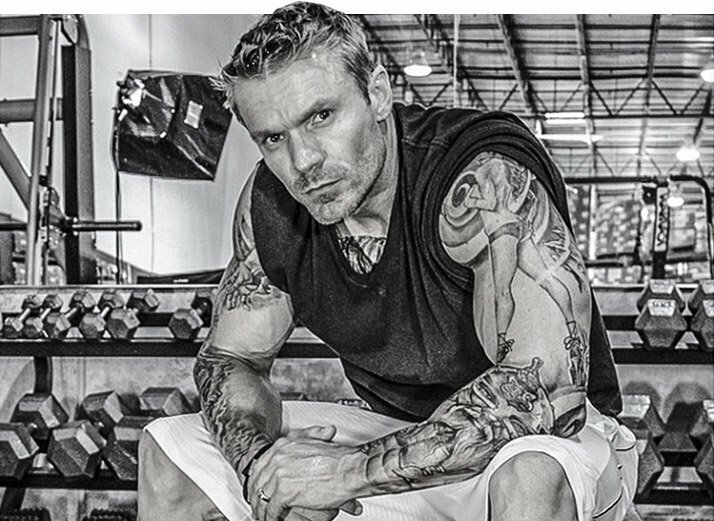 He asked for a Jack LaLanne weight set at age 15, stepped on stage at 25, and built himself back up after a devastating car accident that very same year. At age 39, James Grage refuses to slow down. Some teenagers ask for a dirt bike, some ask for a new car; James Grage asked for a weight set. He'd grown up around gyms, had a mother who loved fitness, and had always eaten healthy. It's fair to say that good habits were engrained in him from the start. The weights he received for Christmas at age 15 took things to the next level. When he was in high school, James would bench press with buddies in the backyard. A few short years later, he stepped on stage at a bodybuilding show. One taste and James' competitive nature left him striving for a first-place finish, but a life-altering car accident in '99 crushed both of his femurs, left him with a host of broken bones, and dashed his immediate dreams. While James has since gone on to attain that elusive first-place finish, he doesn't lift for the stage anymore. These days, he stays true to functional fitness and lifts for life. 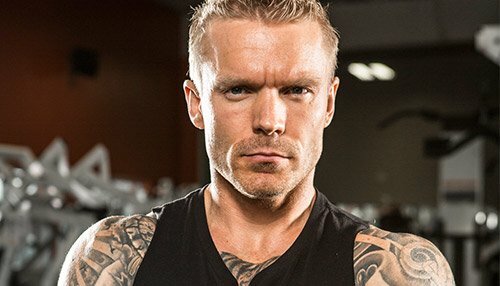 Read on to learn more about his inspiring journey and follow his training, nutrition, and supplement programs! 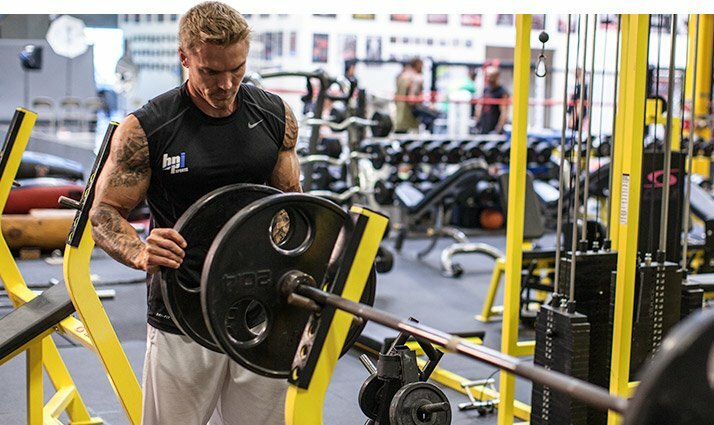 When it comes to supplements, James sticks to the basics. Creatine, BCAAs, and protein powder all have their place. Learn more about the supplement plan that's kept him on track for the last 20 years! James' nutrition falls in line with his training philosophy—it's all about longevity. He's all for whole foods, protein, vegetables, slow-digesting carbs, and well-rounded meals of no more than four ingredients. James Grage's old-school, five-day training split combines a hearty dose of cardio with body part strength training. His program affords him the time to run a business, maintain a family life, and stay ripped. James isn't one to be in awe of celebrities, but meeting Jack LaLanne was, as he puts it, like "meeting the father of the fitness industry." 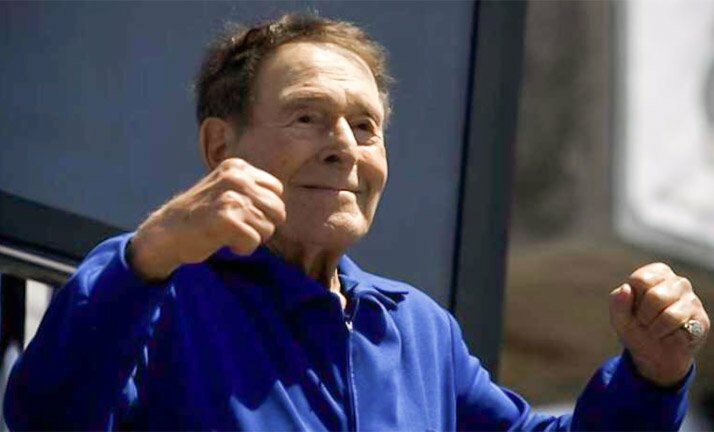 The Jack LaLanne weights that marked the beginning of his lifting career would later come full circle when he sat down with the then 92-year-old legend. One day, in a nearly empty Los Angeles restaurant, an energetic man who commanded the room walked up to James and grabbed his arm. The rest, as they say, is history. "He said 'Nice to meet you, I'm Jack LaLanne,'" says James. "As soon as he took off his sunglasses, I instantly recognized him." After they talked, James left with a few words of advice from the fitness legend. "At the end of our conversation, I said to him, 'Well, Jack, I hope I look like you when I'm 92.' And he said, 'Son, you'll be lucky if you live to be 92,'" James says. It's that sense of longevity and living a fit lifestyle that fosters the foundation of James' nutrition and training regimen. James never considered the stage his calling, but he accepted when a friend convinced him to do a local bodybuilding show. A third-place finish left him wanting more. "I'm very competitive," he admits. "I went back and figured out the right training program and the right nutrition. I was diligent about it, cocky even. I'd prepared and thought I was going to win it, but I didn't. I got second place." The year was 1999. That same year, James got in a car accident that totaled his car, immobilized his body, and left him off of the competition circuit for the next five years. James spent more than a month in the hospital. At the start, sitting up for 60 seconds felt like running a marathon. So he began by setting small goals—very small. Despite having casts on both hands, he learned how to stand up, shuffle to the door and back, and he eventually made it to the hallway with the assistance of a specialized walker. Once he was off the walker, James went back to a scaled-down version of his old bodybuilding routine. Motivation, muscle memory, and confidence gave him the push he needed to hobble from one machine to another. Still, he had to make modifications. Knuckle push-ups replaced traditional ones, and he used wraps to lock his hands to the bar as a bench-press modification. James never fell back on excuses and even performed triceps push-downs with a cast. As long as he could still use his fingers to grip the rope, there was no reason to stop. For James, living the fit life is different now. "I'm not 20 anymore," he says. "I'm 39. I've got a 6 1/2-year-old son, a 9-month-old daughter, and a wife. I have a business that's very time consuming, so it's not like it was when I was 22 and I had nothing better to do than go to the gym, train hard, and eat right." Still, he holds himself to high expectations. "Just because I'm creeping up on 40 doesn't mean I give myself that easy out and say 'Hey, it's OK to be flabby now,'" he says. "I still want to be in just as good shape as I was back then—I just have to do it differently." What's your favorite body part to train and why? When it comes to success in bodybuilding, it isn't about perfecting one body part—it's about bringing the total package. I learned this early on. One of my first jobs in the fitness industry was working for a retired pro bodybuilder. He was, and still is, regarded as having one of the best physiques in bodybuilding. He once said something to me that stood out. He said that the best bodybuilder on stage isn't the one with the stand-out body parts that everyone notices and comments on. It's not the guy with biceps peaks that look like Mt. Everest, or the guy with lats so wide that he looks like he can fly. It's actually the guy that doesn't have any stand-out body parts. The best one on stage is the one who is most proportionate and balanced. My training reflects that. That advice seems to have had a huge impact on your life. Would you say it's affected other aspects of your life? That statement made so much sense to me that, not only did I apply it to my training, but I applied it to every area of my life—even in business. When I work with our designers on a new label for a product or a new magazine ad, I strive for that same thing: balance. I'm finally happy with something when my eye flows across it without getting caught up on just one element. It's then that I can appreciate it as a whole. When I was bodybuilding it was the same. I enjoyed the challenge of acknowledging my weaknesses and striving to improve them. What would you say to someone looking for extra motivation? Each of us possesses an incredible gift: The gift of choice. This world presents unlimited possibilities, and if you believe that to be true, you have the power to choose your own path. We write our own story, whether we recognize it or not.